The “Dulles Note Pad” is the most luxurious way to make lists and jot down a quick note with a casual gift. This is no ordinary note pad. 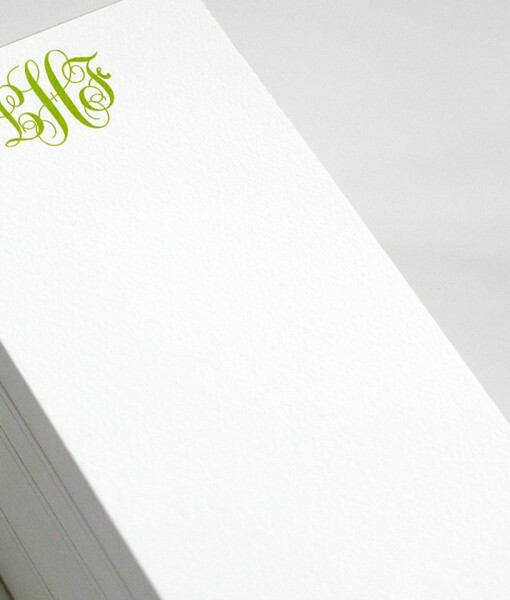 The “Dulles Note Pad” is printed on thick card stock with custom designs and curated ink colors. Each pad set includes 200 printed and padded cards and is a great way to dip your toe into custom stationery or as a gift for a friend, relative, or colleague.